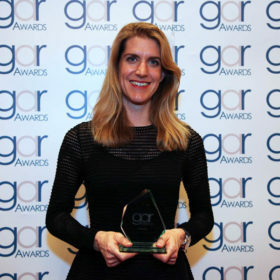 Following the publication of the 2014 rankings by the main leading directories, namely Chambers, Legal 500, Who’s Who Legal and IFLR, LALIVE is pleased to see a consolidation in its leading position in Dispute Resolution and a significant move forward in Corporate, White Collar Crime and other key areas of practice. LALIVE continues to enjoy a position in Band 1 in Chambers Global in Dispute Resolution – Arbitration for Switzerland, as well as improving its Europe-wide ranking going up to Band 2. 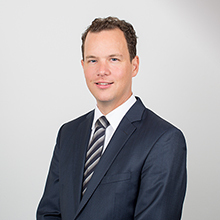 Arbitration partner Matthias Scherer, enters the Global-wide international arbitration counsel ranking, being the first Swiss among the top 80 lawyers worldwide. Two other arbitration partners enter the Europe-wide ranking for international arbitration. In White-Collar Crime, partner Marc Henzelin is now included in Band 1 among the leading practitioners in Switzerland. LALIVE’s Corporate and Commercial practice is recognised for Switzerland and ranked for the first time in Band 4 for Qatar. Similarly, the firm’s Intellectual Property and Employment practices are noted for the first time. 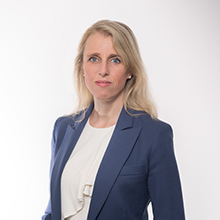 Continuing to be ranked as a leading firm in Geneva and for the first time as a leading firm in Zurich, following the appointment of four new partners in this office, LALIVE remains ranked in other key areas such as Litigation in Band 1 and Banking and Finance in Band 2, up one band from last year’s ranking. The firm’s Corporate and M&A, TMT, Intellectual Property and Real Estate and Construction practices, as well as its enhanced offering in Qatar, continue to be ranked in Legal 500. With 23 entries, LALIVE’s lawyers are widely represented in the second Who’s Who Special Report on Switzerland which, like the International Who’s Who, is exclusively based on peer review. In this report, LALIVE achieves the highest number of nominees in arbitration (11 out of 74) in the Swiss market, as well as coverage of its Commercial Litigation, Asset Recovery, Business Crime Defence, Energy, Construction and Real Estate and Private Client practices. This year, nine lawyers were also ranked in the International Who’s Who of Commercial Arbitration, making LALIVE the fifth firm worldwide with a similar number of ranked practitioners, and the first non-global firm. LALIVE’s expertise in Energy, Construction, Business Crime Defence and, for the first time, Investigations, are also recognised in the respective the International guides covering these areas and sectors. The IFLR1000, which focused exclusively on banking and finance and mergers and acquisitions, this year recognised LALIVE as a notable firm in both Switzerland and Qatar in these areas.